So you’ve been tasked with the job to replace the paper towels in the office toilets with hand dryers in a bid to save some money and do the companies bit for the environment. You’ve also been given a budget when your boss muttered the words ‘As cheap as possible’. Is it wise to buy a very cheap hand dryer? In some cases, buying cheap is fine. Unfortunately buying a good quality hand dryer is not one of those cases. Sure, there are hand dryers on the market that are surprisingly cheap but will they dry your hands? Of course they will, eventually. However, you will probably get bored waiting for what seems an eternity and end up drying your own hands on your trousers! I think we’ve all done that in the past. Do you really want one of those hand dryers in your place of work? Here at Blow Motion we have a range of sensibly priced hand dryers. Not only will they dry your hands in around 10 seconds they will also use very little energy to do so. In most cases the hand dryers will pay for themselves in around 12 Months compared with the amount of money spent in the same period on paper towels or pull towel roll. Our hand dryers range from the traditional warm air type with the classic revolving air outlet. The HD360 can be purchased right HERE for just £139.99 and that’s including VAT and next day delivery! 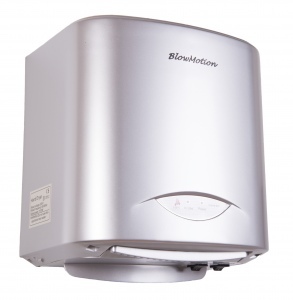 If you want super ECO then you may want to opt for one of our cool jet blade hand dryers. These hand dryers use a mere trickle of electricity to operate. 100 dries for around 2 pence in electricity! Compare that to the amount of paper towels needed to dry the same amount of hands and you will see that there are serious savings to be made from selecting the right hand dryer! 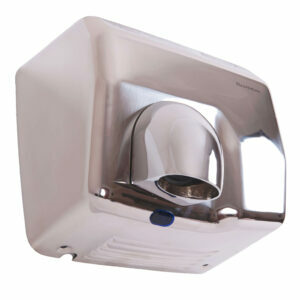 We have hand dryers the will suit all environments as well as budgets. If you need help is selecting the right hand dryer, please feel free to give us a call on 0800 002 9678.